Steve brings over 30 years of financial advising experience to his clients. He believes that world events have a direct effect on the goals of individual investors. Steve prides himself in his ability to interpret how current events may impact his clients and then helps them build a financial plan that will meet their needs. Steve is a Certified Financial Planner™ (CFP®) and leads The Anderson Financial Group of Hilliard Lyons, as well as serving as Branch Manager for the Saginaw and Jackson, Michigan offices. 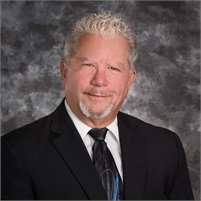 Before becoming a Hilliard Lyons Branch Manager in 1997, Steve served First of Michigan in Midland as a registered representative and in Bay City as a manager. A graduate of Michigan State University, Steve is active in several business and community organizations. In 2015, Steve completed the Wealth Planning Essentials Program through the Wharton School. You might also recognize Steve as the voice of the Ticker Tip announcement weekdays Money in Your Pocket segments on WSGW radio.